How exciting it would be when you can make pizzas easily at home without rushing to the market in search of best pizza sauce. Yes, best pizza sauce which is the key to get the authentic taste in pizzas at home. 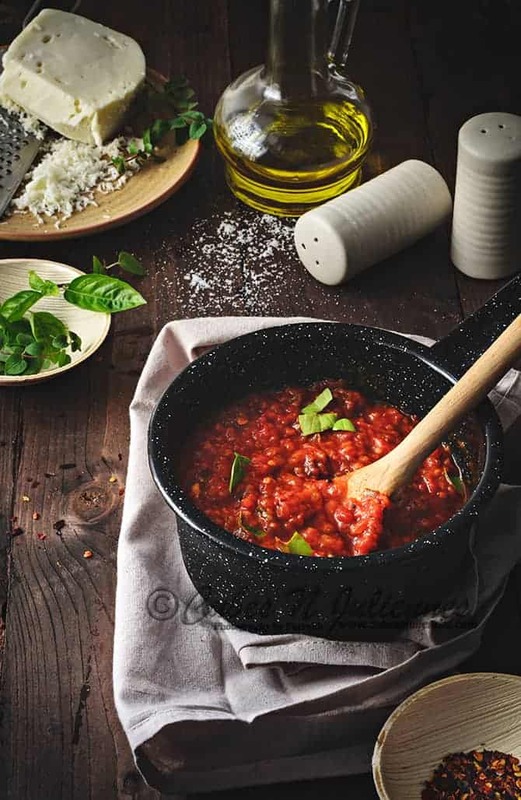 Here is the recipe of best ever Italian pizza sauce I am sharing with you all today. Slather them on bread, pizza bases or even buns with blobs of mozzarella and favourite toppings, grill it in oven or roast it on pan and Voila! You have your snacks or breakfast or weekend brunch or kids lunch box ready in minutes. To make this pizza sauce I have used mix of fresh san marzano and roma tomatoes. If they are not available, you can opt for regular ripened tomatoes. I prefer pizza sauce to be chunky, but you can blend it with a hand blender to get the smooth consistency. Cool the sauce well before storing it. 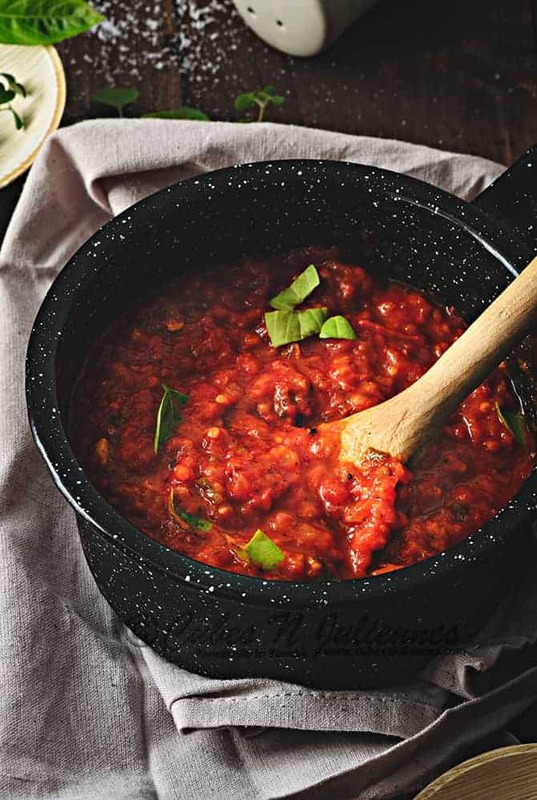 With few tips and tricks you can make the best ever pizza sauce at home easily. Let’s see how to make fail proof best ever homemade pizza sauce…. In another heavy bottom pan, heat 1 tablespoon of oil and 2 tablespoon of butter. Add crushed garlic and fry for few seconds until it releases aroma. Add sugar, vinegar and mix. If you prefer your sauce to be smooth, blend in blender. Store it in a clean sterilised jar and refrigerate easily upto 2 weeks. Also, the cook time for the tomatoes was not 1 hour in the earlier version. Thank you so much for your reply, Farrukh! Yes, I did mistake the pizza sauce recipe for the pasta sauce one. So sorry. Many thanks once again, for your awesome recipes too!